1. 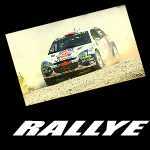 Nasser Al-Attiyah/Matthieu Baumel (QAT/FRA/Mini) 2 h 37:18. 2. Giniel De Villiers/Dirk Von Zitzewitz (RSA/GER/Toyota) 37. 3. Nani Roma/Michel Périn (ESP/FRA/Mini) 1:24. 4. Robby Gordon/Johnny Campbell (USA/USA/Gordini) 1:45. 5. Orlando Terranova/Bernardo Graue (ARG/ARG/Mini) 5:48. 6. Bernhard Ten Brinke/Tom Colsoul (NED/BEL/Toyota) 8:04. 7. Yazeed Alrajhi/Timo Göttschalk (KSA/GER/Toyota) 8:15. 8. Krzysztof Holowczyc/Xavier Panseri (POL/FRA/Mini) 11:58. 9. Erik Van Loon/Wouter Rosegaar (NED/NED/Mini) 13:18. 10. Christian Lavieille/Pascal Maimon (FRA/FRA/Toyota) 13:23. 2. Giniel De Villiers/Dirk Von Zitzewitz (RSA/GER/Toyota) 11:12. 3. Yazeed Alrajhi/Timo Göttschalk (KSA/GER/Toyota) 28:44. 4. Krzysztof Holowczyc/Xavier Panseri (POL/FRA/Mini) 1 h 00:53. 5. Bernhard Ten Brinke/Tom Colsoul (NED/BEL/Toyota) 1 h 04:23. 6. Erik Van Loon/Wouter Rosegaar (NED/NED/Mini) 1 h 06:43. 7. Christian Lavieille/Pascal Maimon (FRA/FRA/Toyota) 1 h 27:22. 8. Carlos Sousa/Paulo Fiuza (POR/POR/Mitsubishi) 1 h 42:45. 9. Ronan Chabot/Gilles Pillot (FRA/FRA/Smg) 1 h 49:27. 10. Stephane Peterhansel/Jean Paul Cottret (FRA/FRA/Peugeot) 1 h 49:41.